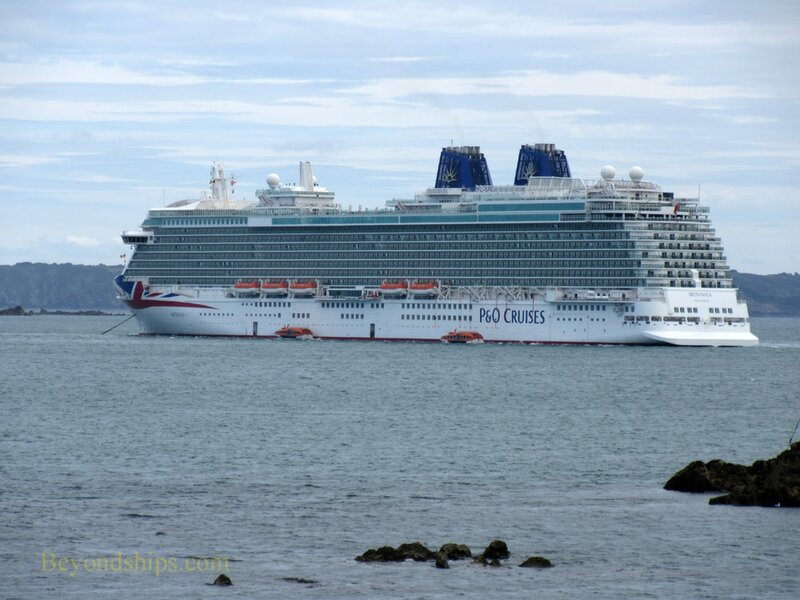 ​Above: P&O Cruises' Britannia tendering off of Guernsey. 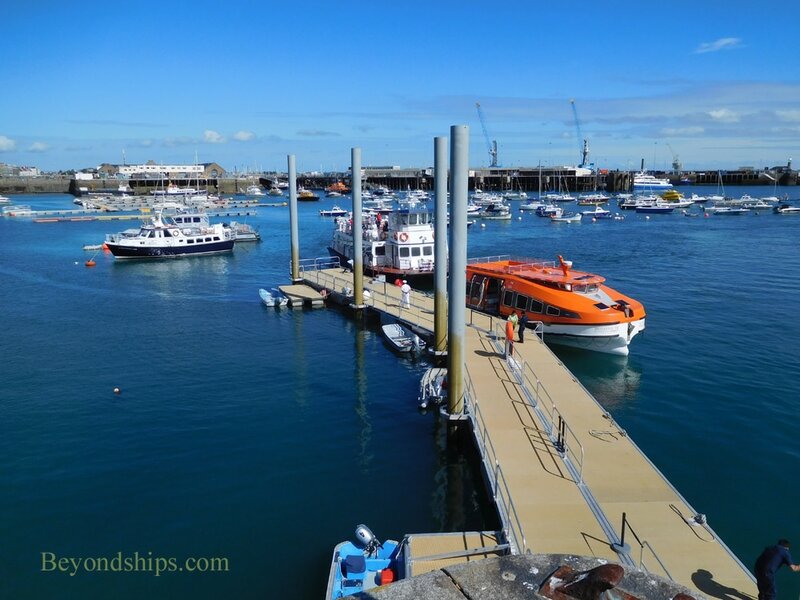 Guernsey is a tender port. 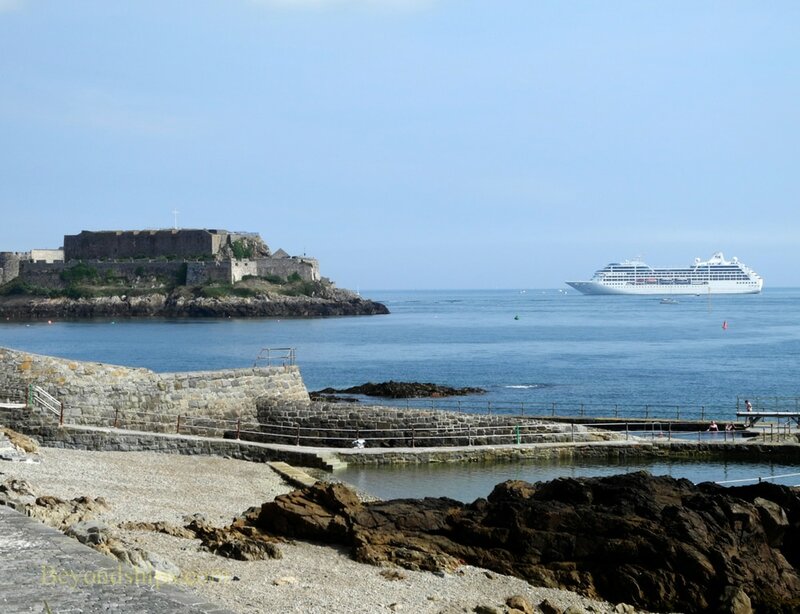 Cruise ships anchor outside of the man-made harbor at St. Peter Port and it is a 10 to 20 minute ride by tender into the town. The tenders arrive and depart from the Albert Pier. Because of the tide, the water level in the harbor changes substantially. As a result, the floating pontoon where the tenders tie up can be far below the main pier and so passengers sometimes have to make a climb to reach street level. In 2015, a longer ramp was installed to reduce the steepness of the climb. The Albert Pier extends past the yacht marina to the town center. 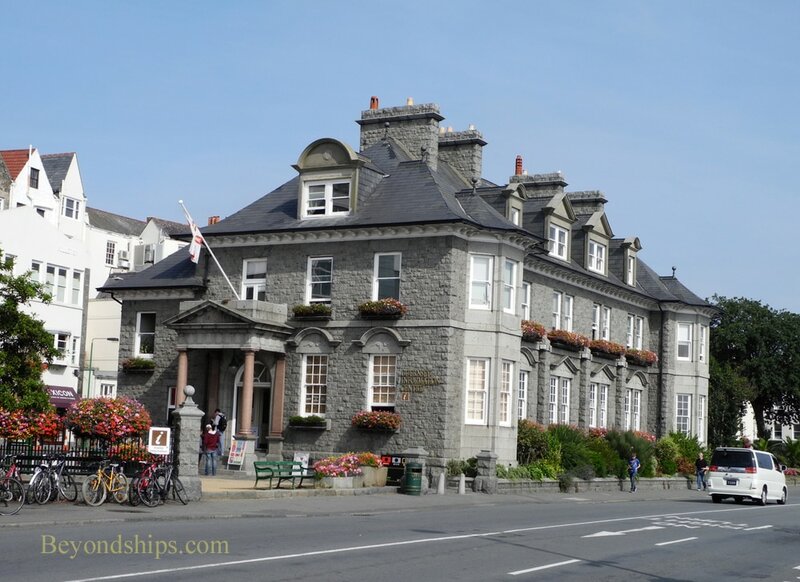 All of St. Peter Port's attractions are within walking distance. There are cafes along the sea front esplanade along with the tourist information office. The town's high street is a pedestrian thoroughfare one street inland. For those going further afield, Guernsey has a public bus system. Day passes are available at a relatively modest price. Guernsey also has taxis. However, the fares can be expensive. Above; Cruise ship tenders at the Albert Pier in St. Peter Port. ​Below: The Guernsey Information Centre on the sea front in St. Peter Port. Left: Norwegian Jade off of Guernsey. 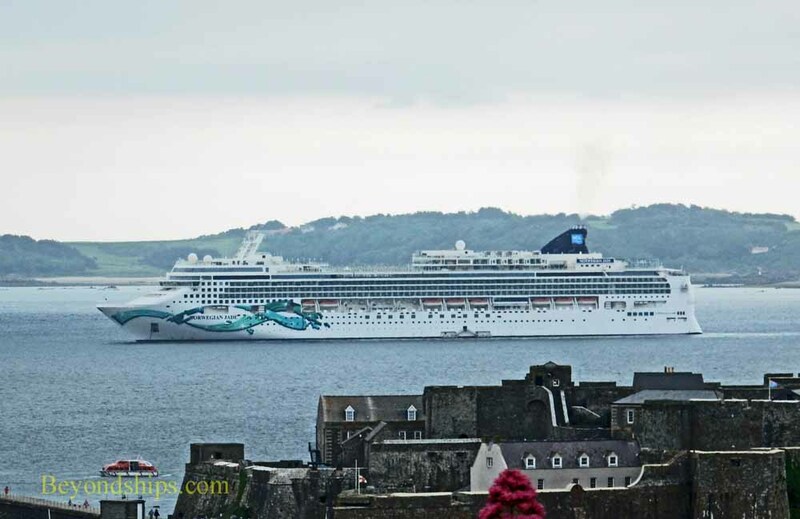 ​Below: Ocean Princess tendering off of St. Peter Port.